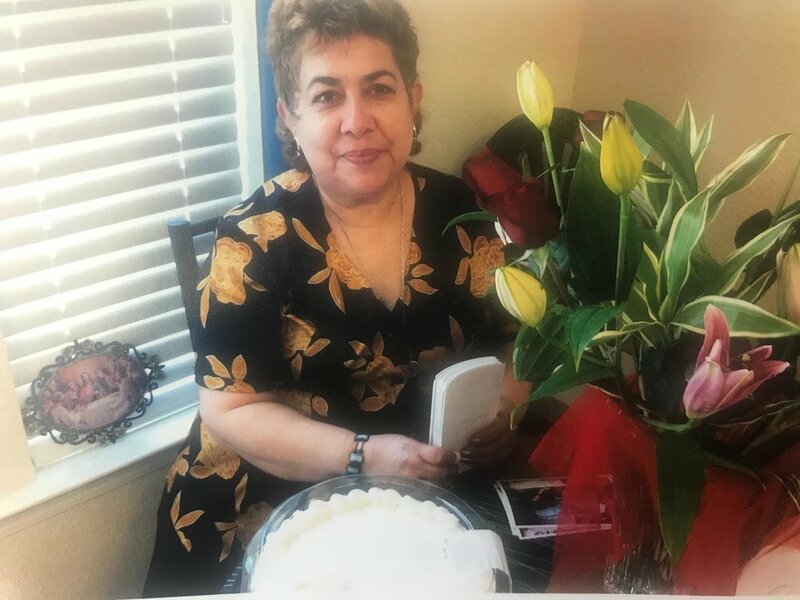 Carmen Espinoza passed away in Lodi on October 13, 2018 at the age of 65. She was born in Mexico to Alfonso and Soledad Ramos on April 24, 1953. Carmen’s life was one of hard work and singular dedication to her family. She worked many years as a cannery worker for Pacific Coast Producers, and for Lodi Unified School District for over 20 years. Her greatest joy in life came from caring for and spending time with her beloved family, often referring to her grandchildren as her “Treasures”. Carmen was preceded in death by her parents, and her brothers Alfredo and Jesus. She is survived by her loving husband of 42 years, Genaro Espinoza, 3 children: Genaro Espinoza Jr., Lisette Dorado (Efrain), Orlando Espinoza, and a daughter-in-law Juanita; her grandchildren: Genarito, Dianna, Michael, Jazmine, and Giselle; and by her sisters: Maria, Elisa, Eva, and Cholita. A PUBLIC visitation will be held from 4:00pm - 8:00pm at Vineyard Chapel at Cherokee Memorial Park, 14165 N. Beckman Rd, Lodi, CA 95240, with the vigil at 6:00pm. A mass will be held on Friday October 19, 2018 at 10:00am at St. Anne's Catholic Church located at 215 W Walnut St Lodi, CA with a graveside service to follow at Cherokee Memorial Park, located at Harney Lane and Hwy 99, Lodi, CA 95240. Cherokee Memorial is honored to serve the Espinoza family.